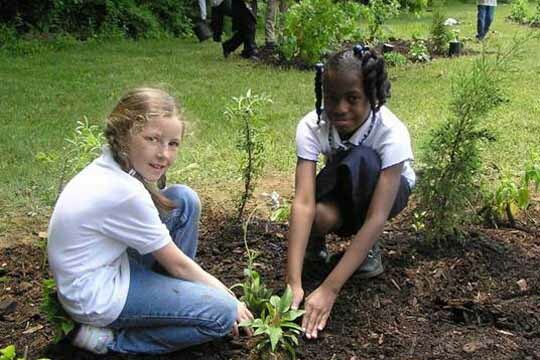 Headquartered in College Park, Maryland, the Alliance for Community Trees has planted more than 7.8 million trees in urban landscapes nationwide, with assistance from 450,000 volunteers, since its inception in 1993. The group, which is composed of more than 100 sub-organizations, strives to support local grassroots organizations dedicated to tree-planting and tree-conservation. In Maryland, they work with the Center for Chesapeake Communities, Tree-Mendous Maryland, Herring Run Watershed Association, Parks & People Foundation, and the Beltsville-based Communities Committee.